Indulge yourself in this one of a kind French Provincial Luxury Estate nestled on 5.5 acres of paradise. 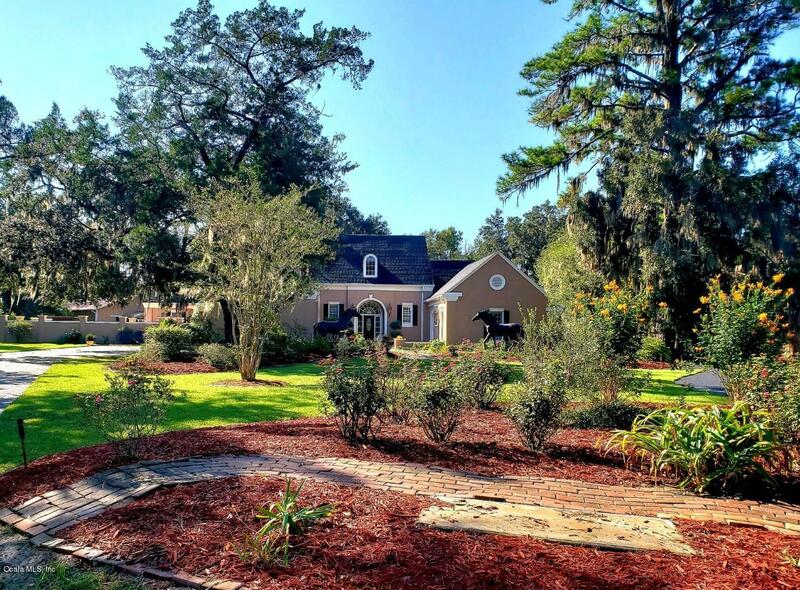 The Summit II, a beautiful gated equine community ideally located just minutes from Ocala. Drive along winding tree lined country roads to this beautiful concrete block home boasting 4 bedrooms and 5 and a half bathrooms. The owners suite with its unique floorplan has allowed for 2 separate ensuite baths and 3 large walk in closets. The remaining bedrooms are each accompanied by their own ensuite bath. An over sized guest suite with bath has its own private entry and is wheelchair accessible. Open house on 11/14/18 has been cancelled.The formal Grand Living room with fireplace and soaring 16 foot ceilings flows into the formal dining room large enough for the biggest of parties. The large family room also has a fire place and is perfect for those informal gatherings. 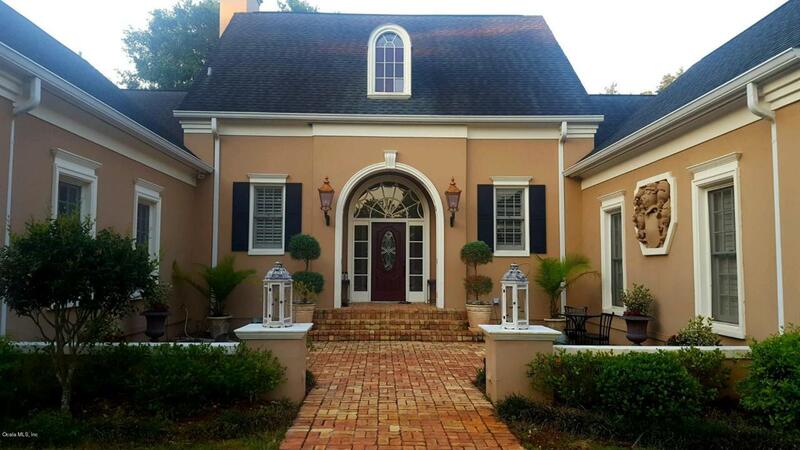 Quality craftsman ship and amenities abound throughout this magnificent home from the custom crown moldings to the plantation shutters. The resort style outdoor living area with its private courtyard and competition size lap pool allow for year round entertaining. 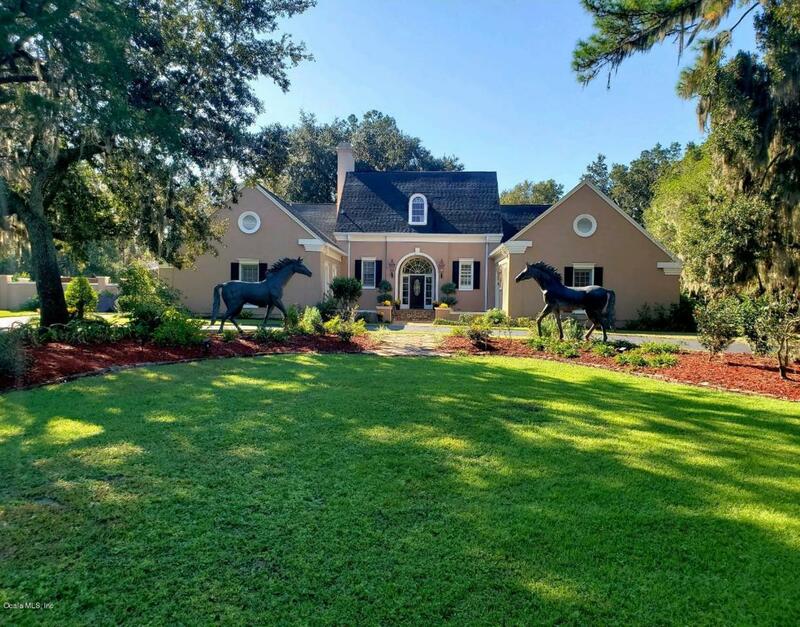 Rounding out this property is a 3 stall center aisle horse barn featuring automatic waters, tack room, washer and dryer hookups and a hot water wash rack. Listing provided courtesy of Catherine Crandon of Homerun Realty, Llc.